The average rate on a 30-year fixed rate mortgage fell two basis points to 4.44 percent. 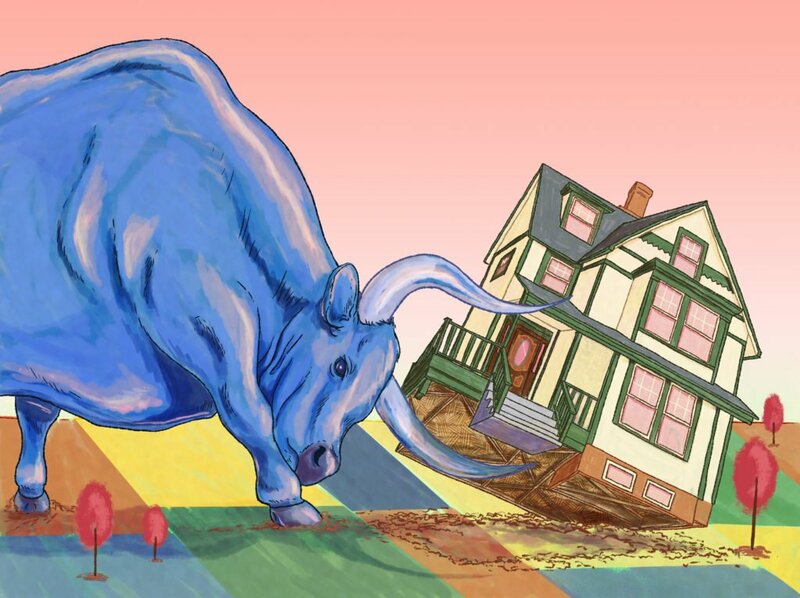 The average rate on a 15-year fixed rate mortgage fell four basis points to 3.90 percent. The average rate on a 5-year adjustable rate mortgage increased four basis points, averaging 3.67 percent. “Tuesday’s Consumer Price Index report indicated inflation may be cooling down; headline consumer price inflation was 2.2% year-over-year in February,” said Len Kiefer, Freddie Mac’s deputy chief economist. 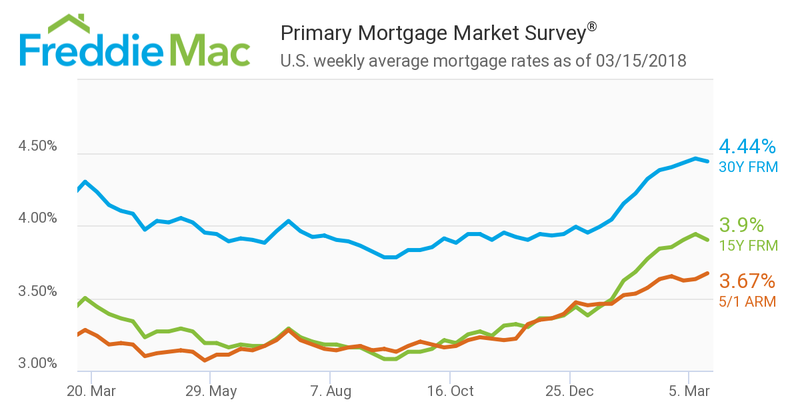 The 30-year fixed mortgage rate on Zillow Mortgages is currently 4.23 percent, down six basis points from this time last week. 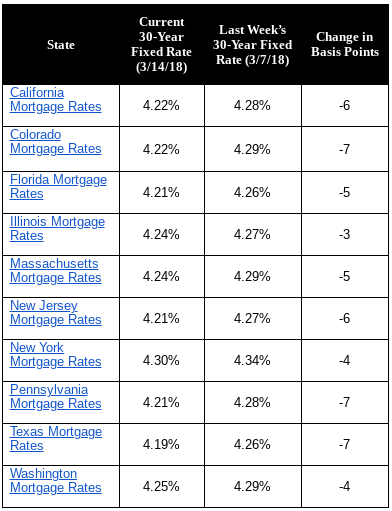 The 30-year fixed mortgage rate hovered around 4.28 percent for most of the past week before falling to the current rate on Tuesday. The rate for a 15-year fixed home loan is currently 3.64 percent, and the rate for a 5-1 adjustable-rate mortgage (ARM) is 3.58 percent. “After holding steady for much of the week — even through Friday’s exceptionally strong jobs report — rates fell for the first time this year after inflation data reported Tuesday were weaker than anticipated, and news of the firing of Secretary of State Rex Tillerson prompted some financial market flight to safety,” said Aaron Terrazas, senior economist at Zillow. The Market Composite Index, a measure of mortgage loan application volume, increased 0.9 percent on a seasonally adjusted basis from one week earlier. On an unadjusted basis, the Index increased 2 percent compared with the previous week. The Refinance Index decreased 2 percent from the previous week. The seasonally adjusted Purchase Index increased 3 percent from one week earlier. The unadjusted Purchase Index increased 5 percent compared with the previous week and was 3 percent higher than the same week one year ago.